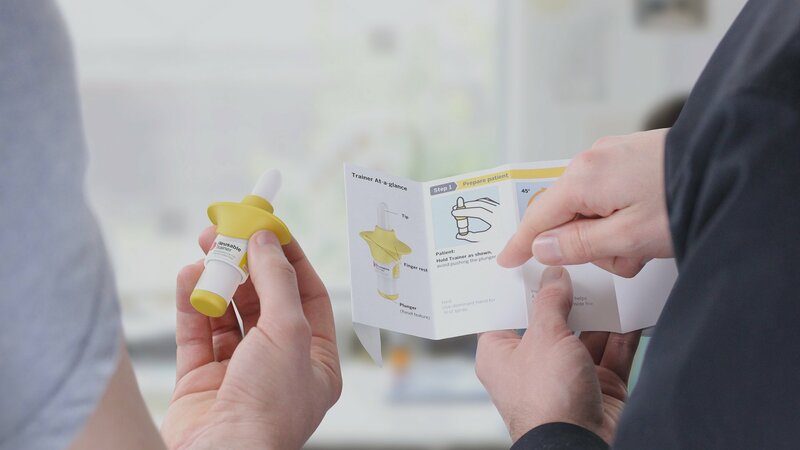 We are the market leader in the design and supply of training products for autoinjectors, nasal delivery devices and pre-filled syringes. We identify the critical cognitive, physical and sensory steps in the process by analysing the patient experience. This ensures our products are always focused on the key training needs of the therapy. The experience gained developing medical and drug delivery devices directly impacts our ability to build reliable, high quality training products. We apply different processes, technologies and product volume options from our ISO certified supply chain to produce bespoke training solutions for our clients. of Health Care Professionals reported an immediate improvement in drug preparation when using training devices. Because our processes are certified and meet the highest standards, our clients have the assurance their regulated and non-regulated products will be in good hands throughout development and compliance. Short turnaround projects are not uncommon if clients are to meet critical project milestones. Our management processes and platform solutions allow us to work quickly and maintain uncompromising standards of quality. Not only do our clients have full ownership of their design and IP, they also benefit from superior product quality, competitive pricing and the fast turnaround of their project.